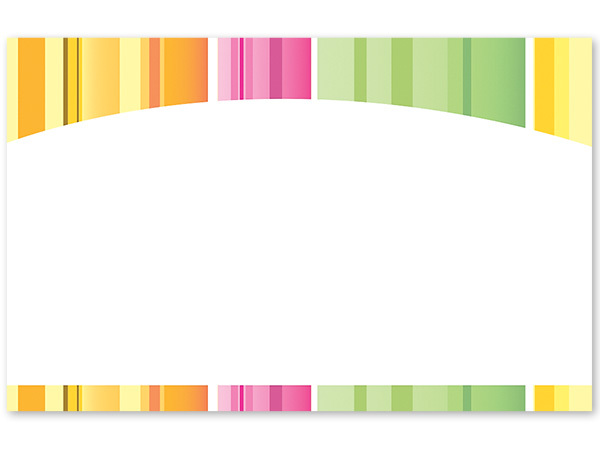 Buy More Enclosure Cards Save More! Actual card size: 3-1/2" x 2-1/4". Card has bright stripes with no sentiment. Made in the USA. Printed enclosure cards can be used for personal messages with your gifts, baskets, plants & arrangements and are available at a great value! Available in seasonal and special occasion designs. Cards measure 3-1/2 x 2-1/4.